D3586 at Bridgnorth in 2002, Echills Wood Railway in 2003, 60163 at Highley in 2009, The Lady Armaghdale and 7714 in The Engine House in 2010, 4566 at Arley in 2012 and finally 47805 at Lye in 2013. 60163 at Highley in 2009. More photos in gallery. 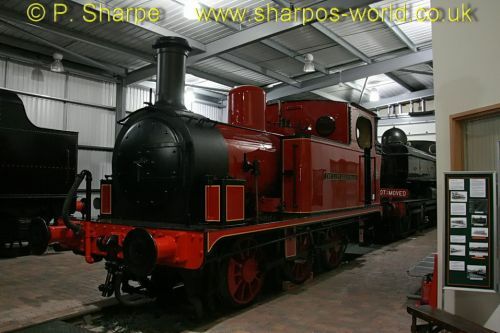 The Lady Armaghdale and 7714 in The Engine House in 2010. More photos in gallery. 4566 at Arley in 2012. More photos in gallery. 47805 at Lye in 2013. More photos in gallery. This entry was posted in "On This Day" (in the past), All recent postings, Sharpo's World Photo Updates on October 26, 2018 by Sharpo.